Mark your calendars! 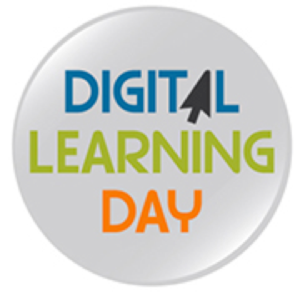 Digital Learning Day has been moved from February to March 13, 2015 | Back to Basics Learning Dynamics, Inc.
Digital Learning Day, held this year on March 13, 2015, is presented by the Alliance for Excellent Education and other national educational associations and organizations, with ALA’s American Association of School Librarians (AASL). The event celebrates innovative teaching practices that make learning more personalized, more engaging, and encourage exploration of how digital learning can provide more students with opportunities to get the skills they need to succeed in college, career and life. Of course, Digital Learning Day aims to impact students on more than just one day; it is an ongoing campaign to ensure that EVERY child gets the best possible education in today’s world economy and global society.